Relief planes are usually welcome into conflict zones, but during the Nigeria-Biafra war the planes of the Joint Church Aid were considered illegal. They were shot at and bombed by the Nigerian Air Force every night, and when crew members died, they were buried in graves at the end of the runway. After the war, the airstrip was closed down and the graves bulldozed away. 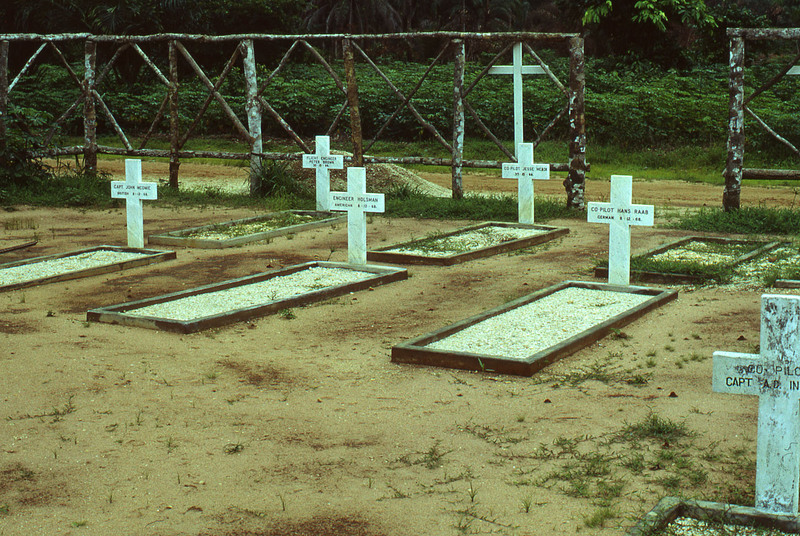 The image here shows some of the graves. Photo courtesy of David Koren.